Darjeeling: A former head of the directorate of cinchona and other medicinal plants has been arrested for alleged irregularities to the tune of Rs 17 crore at the largest public sector unit in the hills now under the Gorkhaland Territorial Administration (GTA). The Bengal CID took G.C. Subba into custody following an FIR by the present chief of the directorate, Samuel Rai. CID sources said the 65-year-old Subba was arrested on Tuesday and charged with criminal breach of trust and other offences. "The chief judicial magistrate has sent him to 10 days of police remand," said Pankaj Prasad, assistant public prosecutor. The sources said the irregularities were detected for the financial years 2010-11 to 2013-14. The cinchona plantations were handed over to the GTA by the Bengal government in 2012. Subba retired in December 2013, after which he was appointed technical adviser to the GTA for a term that is now over. The sources said the alleged irregularities were detected on 19 counts, including failure to hand over bank accounts to current director Rai and deposit revenues to the government. The total alleged irregularities are pegged at Rs 17.15 crore, the sources told The Telegraph. The cinchona estates are spread over 26,000 hectares across the Darjeeling and Kalimpong districts. The directorate was established before Independence. The plantations employ around 6,000 workers directly and sustain 40,000 in the hills indirectly. Even though cinchona - quinine is made from its bark - is the main crop, other medicinal plants and cash crops like rubber, ginger and oranges are also grown in the plantations on a smaller scale. The directorate, however, has been suffering annual losses of over Rs 24 crore for the past decade, mainly because of weak demand for the plants, though revival attempts have been made through diversification of crops. 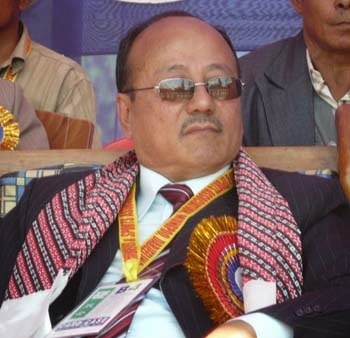 A former head of the directorate of cinchona and other medicinal plants has been arrested for alleged irregularities to the tune of Rs 17 crore at the largest public sector unit in the hills now under the Gorkhaland Territorial Administration (GTA). The Bengal CID took G.C. Subba into custody following an FIR by the present chief of the directorate, Samuel Rai.